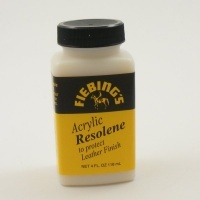 Fiebings Antique Leather Stain is a quick drying, water based acrylic finish used for emphasizing and carving on natural leather. 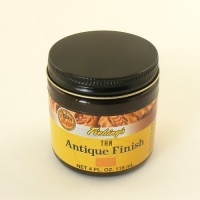 To use, apply in a circular motion with a wool dauber, sheepskin or soft cloth. Wipe off excess with a paper towel. 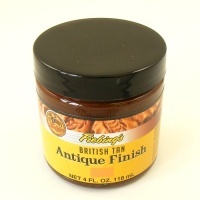 For best results, wipe off excess one more time with a damp sponge. 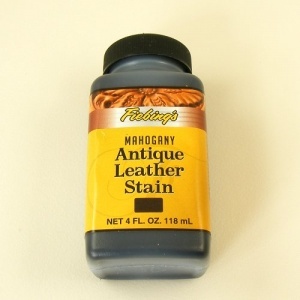 If a sealer is desired, you can apply resoline with a damp sponge once your antique stain is dry. 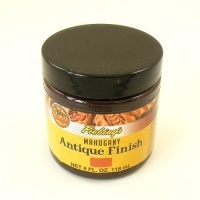 This is a 118ml bottle (4 fluid oz) of Mahogany stain, which is the darkest of the 3 colours available in this product.